With just 100 days until the start of the China International Import Expo, officials and many others across Shanghai are rolling up their sleeves to prepare for the event. Construction workers move paving stones yesterday outside the National Exhibition and Convention Center. 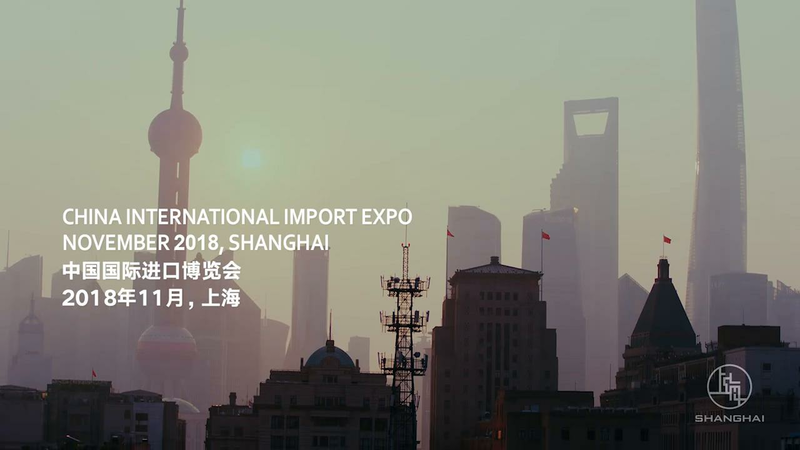 With just 100 days until the start of the China International Import Expo, officials and many others across Shanghai are rolling up their sleeves to prepare for the event. Here’s a look at some of the behind-the-scenes work being done to make this widely-anticipated trade gala a success. Passengers at Hongqiao airport can now order shuttle services within terminal buildings, or to Hongqiao railway station, as one of a series of new services launched by the airport authority yesterday. The electric vehicle shuttle service, which is free for seniors and physically challenged passengers, is now available through the mobile app Variflight as part of efforts to support the import expo, the Shanghai Airport Authority announced. Online booking is also available for customized shuttle bus lines from airport terminals to downtown destinations through midnight, according to the authority. Other new services include online reservation for VIP lounges at Terminals 1 and 2 at Hongqiao airport. 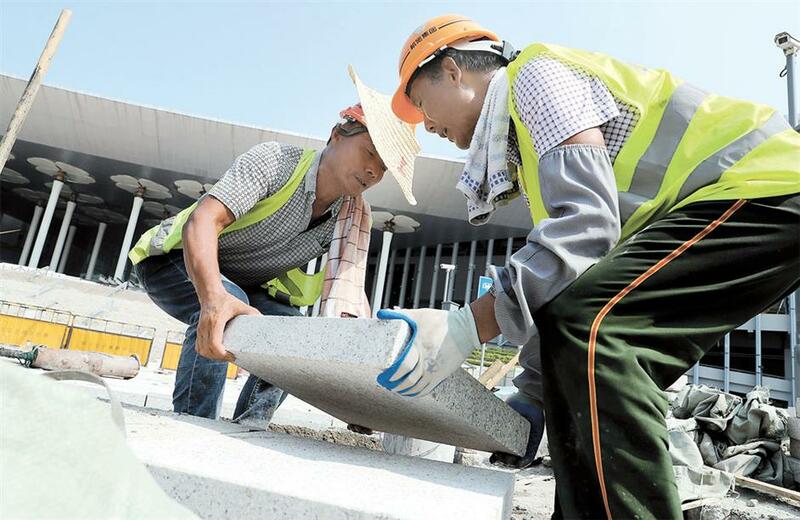 The airport authority has renovated bumpy roads, planted more greenery and dredged surrounding waterways to prepare for the first import expo, the authority said. Staff with the airport authority, airlines and customs inspection yesterday pledged to offer the most efficient and high quality services to customers during the expo period. The Hongqiao transport hub and the convention center are among the key areas to welcome and serve participants to the expo, said Fei Xiaomei, deputy director with the management committee of the Hongqiao Central Business District. “The service sector within the area, especially the airport, must train their staff again and optimize their procedures to present a great impression to the visitors and participants,” Fei said. Three large vertical flowerbeds in People’s Square, Lujiazui and the Bund will be installed in honor of the China International Import Expo, the Shanghai Greenery and Public Sanitation Bureau said yesterday. Red and yellow, the colors of the Chinese flag, will also be featured in plant decorations during the expo. About 290,000 square meters of green spaces, along with more than 70 flowerbeds and flower landscapes, will be added around the National Exhibition and Convention Center, the bureau added. The renovation of 1.4 million square meters of greenery, and the arrangement of more than 8,400 flowers and about 2,500 square meters of vertical plants around the center are also on the agenda, said the bureau. The bureau will focus on 16 major tasks for the expo. These include cleaning, facility maintenance, landscape upgrades and public sanitation management around the Hongqiao Business District and Lujiazui, as well as hotels, major streets, airports and railway stations. In addition, building, street-side and riverine lighting around the convention center will also be improved, according to the scheme. An import expo medical and health support team organized by city's health and family planning commission will set up four medical service stations at the National Exhibition and Convention Center, one in each of the branches, where paramedics and volunteers will be deployed. The Shanghai Medical Emergency Center will dispatch ambulances equipped with emergency medical facilities to the center. Eighteen local hospitals will serve as the designated hospitals for the import expo. The Red Cross Society of China's local branch will install automated external defibrillators at the center and train volunteers to use these devices. Qingpu District has invested more than 5 billion yuan (US$735 million) to improve the infrastructure and environment around the National Exhibition and Convention Center in eight aspects to secure a successful import expo, said Chen Qingjiang, deputy Party secretary of the district. The district divided the area around the center into three zones, where 68 projects will be undertaken to improve the traffic, environment, telecom, security and power supply in the area before the end of September. Xumin Road, Huilong Road, Panlong Road, Zhuguang Road and Tianshan Road W. will be widened. An underground passage will be built to connect Zhuguang Road and Songze Avenue. By the time the import exhibition is held, people will be able to cross the street underground to avoid traffic. Meanwhile, an overpass linking the expo venue and Zhuguang Road Station will be built. While widening the roads, infrastructure projects are under construction simultaneously. On Xumin Road, a main road at the west of the expo venue, workers are moving overhead cables as well as upgrading the drainage pipeline system underground. Eleven parking depots with 10,391 car parks have been arranged near the expo venue. The temporary public transport hub outside East Xujing Metro Station will be removed by the end of the month. At Xiaolaigang River, a small creek runs beside the expo venue, so the district are dredging the waterway to make the water clearer. Greenbelts are also being planted. The work at Xiaolaigang River is almost complete.